Having earned the reputation for being the best Providence Forge Tree Removal Company around, we are honored to have done so just by doing what we do best. At C.S. Flournoy what we do best just happens to be offering local customers the finest in handiwork and customer service all at beyond affordable prices in Providence Forge, VA.
With over three plus decades of hands on work history experience in the field, we have seen and done it all. Some of this work can be very tricky. It requires the right training, skill, aptitude and even equipment to get the job done correctly. Too many people rely on companies that really are not qualified to take on the job. The last thing you need is to have your property damaged because someone who didn't know what they were doing took on a job they had no business attempting. At C.S. Flournoy we not only have the necessary and required credentials needed to take on this type of work, we simply have the experience and skills needed. We are dedicated to tackling any job, no matter how big or small, and offering the best results to each and every customer. Now, let our Tree Removal Company show you firsthand how we can take care of this type of work for you. Sometimes a job requires more than trimming. In some situations the only acceptable option is Providence Forge Tree Removal. You may need a tree or trees removed in order to clear a path for an upcoming project, such as adding an addition on to your home. Whatever the case may be, you need to know you have a reliable crew that can take care of that for you. This also means dealing with stump grinding. Stumps that are left behind can cause problems. 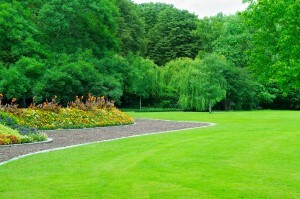 Aside from being in the way when you mow or taking up valuable real estate that could be a garden, they can attract bugs. Not to mention, with the roots still intact, this means there can be regrowth. So let us take care of this for you so you have one less thing to worry about. We look forward to helping you get the service you need when it comes to taking care of your great outdoors. If your to-do list includes anything like tree trimming or related services, it is time to give us a call. For the best in Providence Forge Tree Trimming, only the C.S. Flournoy name will do. "I was very pleased with Danny Epps and the tree crew. Excellent service and knowledge - we'll call again when tree work is needed and we'll recommend you to our neighbors." One of the first things you should think about when it comes to Richmond stump grinding is that you have to address some method of dealing with the stump. It cannot be stressed enough that once your tree has been cut down, you should not simply leave the stump there to take up space and become a breeding ground of insects or other pests. Hiring someone to take care of your Short Pump tree removal service needs doesn't have to be complicated, but it should be done correctly. This means making sure that whoever you trust to take on the work is actually qualified to do so. It can be easy to feel rushed and overwhelmed and then end up making a decision you come to regret. If you are looking for a Providence Forge Tree Removal Company then please call 804-264-1000 or complete our online request form.